A lot of what happens at Nook is behind the scenes, marketing for clients, data analysis, website and web system support, so it is really satisfying to complete a new website for a client, especially if the website looks pretty. Essentially with the website the objective is to make a responsive website so that it performs equally well on a desktop or tablet or mobile phone. 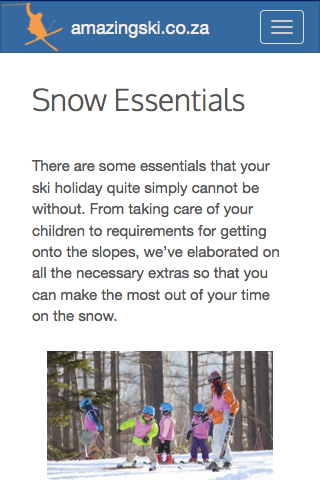 The objective of the website is to provide information to prospective travelers who may be considering a ski holiday. 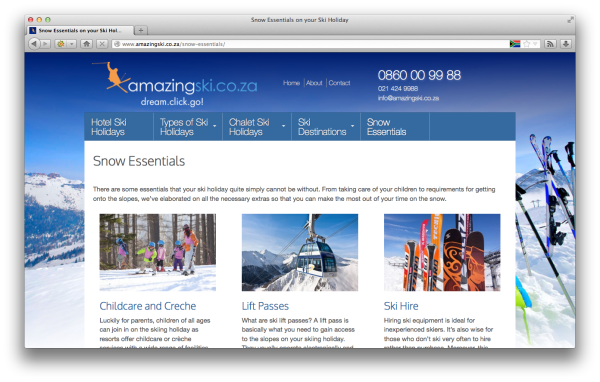 Take a look www.amazingski.co.za. This is a simple website for Jo O’Connor, a friend who is an artist, a space where she can upload her portfolio of past work, show people what she is currently working, and possibly do some blogging. 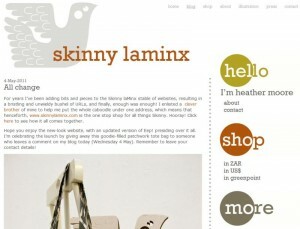 WordPress was the most logical selection for this, and the clean lines required made the requirements even simpler. Despite the apparent simplicity, it took us about a year to get all the bits and pieces together for this site. 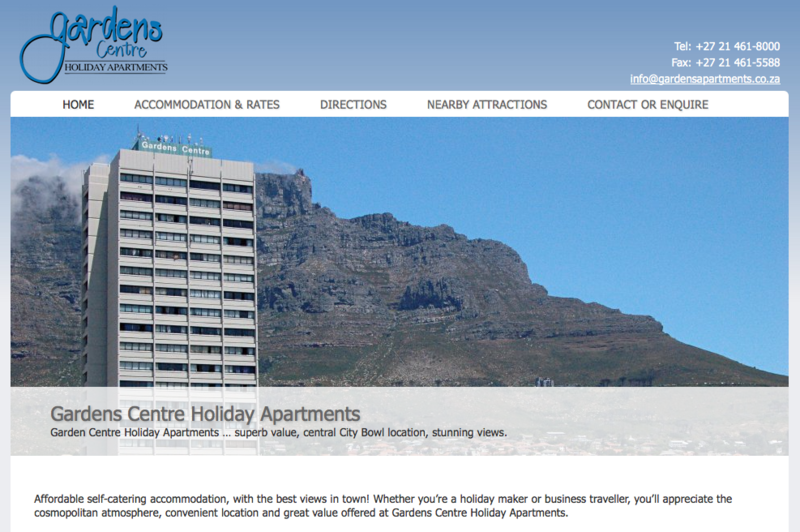 These self catering apartments in Gardens Centre, Cape Town offer real value in a great with incredible views. I am not trying to sell this to you, but this is what we needed to get across on the website. An important lesson here is to not oversell, to promise what you are offering while presenting crisp, clear information and visuals. 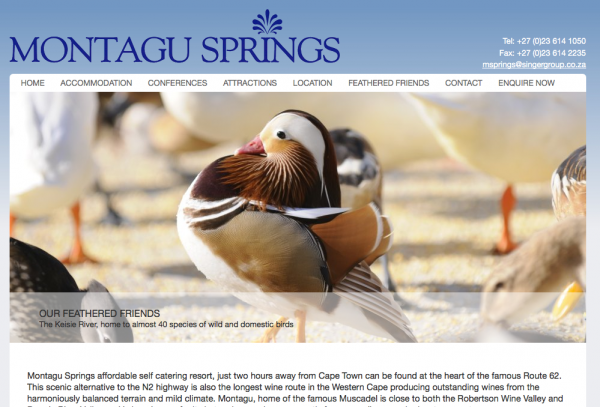 The revision of the Montagu Springs website was an opportunity to better communicate what accommodation is on offer as well as the facilities available. A fun aspect of the place is that they keep a wide range of waterfowl which are really interesting for kids at the resort. The brief was to make use of Missibaba’s existing look and feel to create an informative website with news/blog publishing as well as an online shop www.missibaba.com. 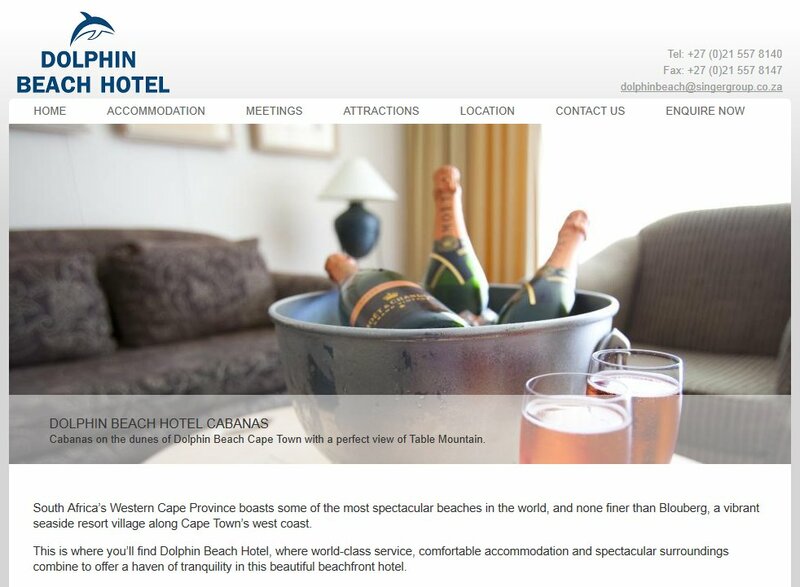 Dolphin Beach Hotel has incredible views of Table Mountain and direct access to the beach, the brief was to replace the outdated website, provide a CMS for rates and content updates. Google has for a while offered ways of measuring the speed of your website using Google Webmaster Tools and an extension to the Firefox addon Firebug called Page Speed. These are all very well but only let you know 1. how Google experiences the speed of your website and 2. how you experience the speed of your site. 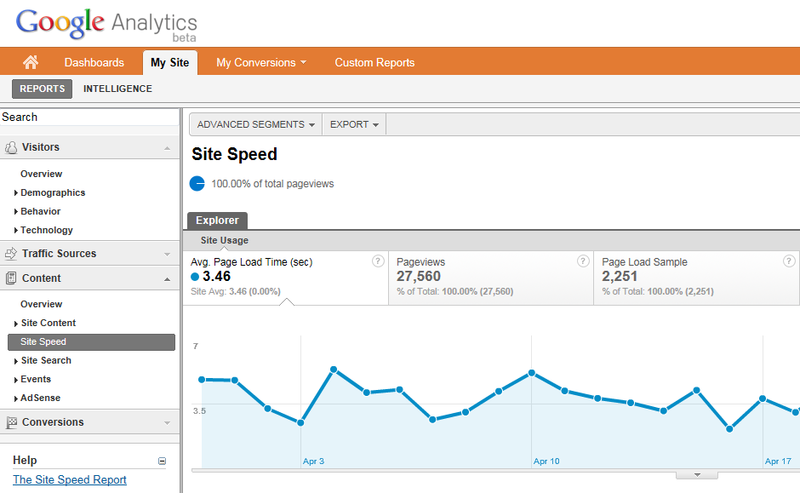 What it does not give you is how your visitors experience your website and this is what Google have just added to the new Analytics interface. This is especially relevant to South African companies choosing to host their websites in the USA to save on hosting costs, but their main audience is a long way off. 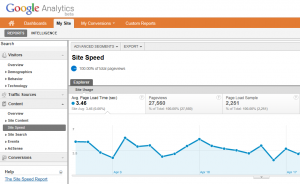 Being able to measure the site’s load speed and evaluate changes made to the website against these values can only be useful to anyone with the website. Unfortunately there are some tweaks which need to be made to tracking codes to be able to take advantage of this, but our advice is the sooner this is implemented the sooner you start gathering data for future analysis. It seems like only the other day that Heather decided to can the idea of a dedicated website and in stead start a blog on Blogger.The data limits on Blogger drove the blog away from Blogger into the arms of WordPress.com. 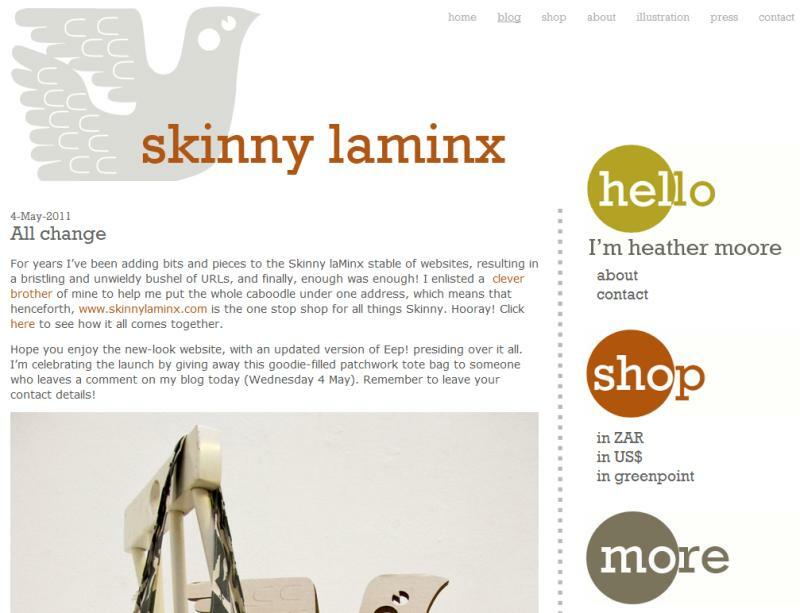 Eventually the need for a website+blog resulted in the most recent move to a hosted site using the WordPress.org codebase, full circle, and not “I told you so”, but an interesting cycle none the less. 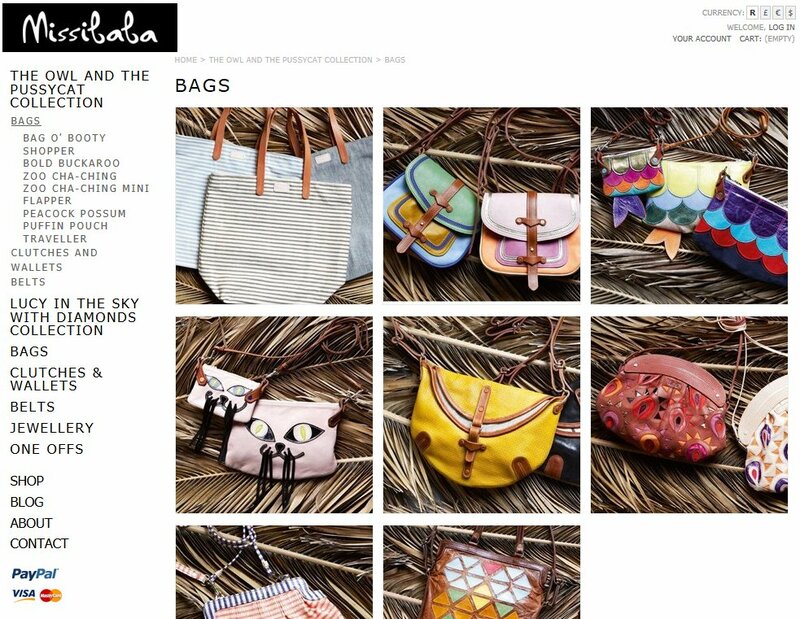 The popularity of the blog and interest in the designs produced have resulted in growth and enthusiastic following, and the challenge in this move was to not interrupt any of this. Existing posts & images were transferred maintaining consistent URLs, new home experience for the website, numerous about-type pages, widgets for signing up for newsletters, facebook page setup and posting from the blog etc. 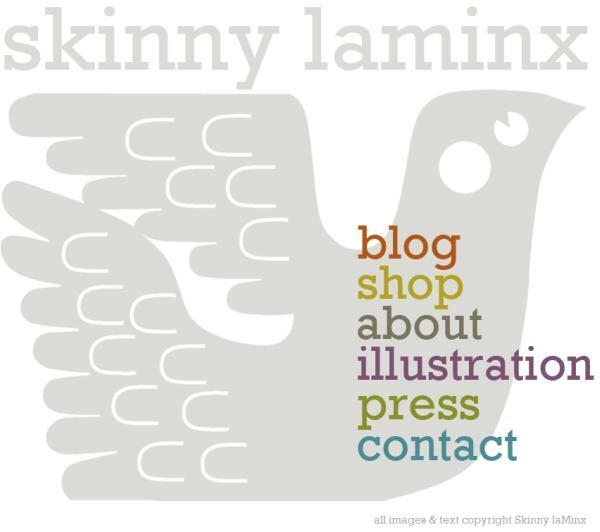 It is pleasing to see that on the first day of being live the new Skinny laMinx website has had 1,286 visitors, leaving close to 100 comments, a successful wordpress.com to wordpress.org migration. 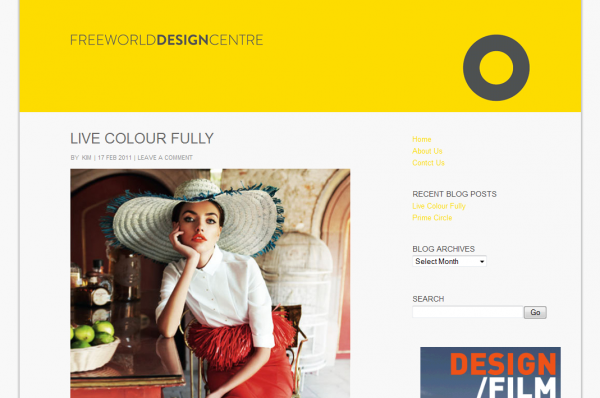 Freeworld Design Centre recently opened their doors and needed a platform for their design centre consultants to publish regular content in the format of a blog. 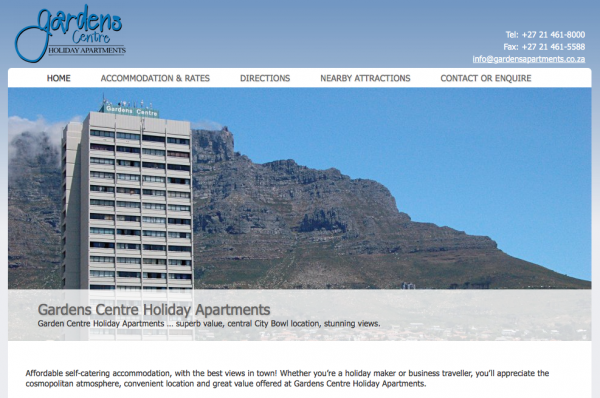 The solution is a simple WordPress blog allowing the team to publish their content as themselves, thereby enhancing their profile as well as that of the team at the centre. 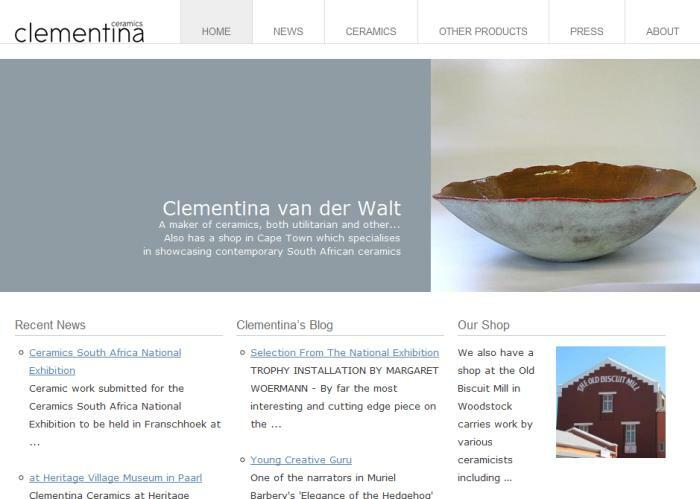 Clementina is a Cape Town based ceramist who produces beautiful ceramics generally with strong, sometimes zany, colours. She designed the Africa Cafe range of crockery which I am sure everyone in SA has seen at some point. The site serves as a home to Clementina’s work and the Clementina shop which carries other ceramists work as well as some other products. 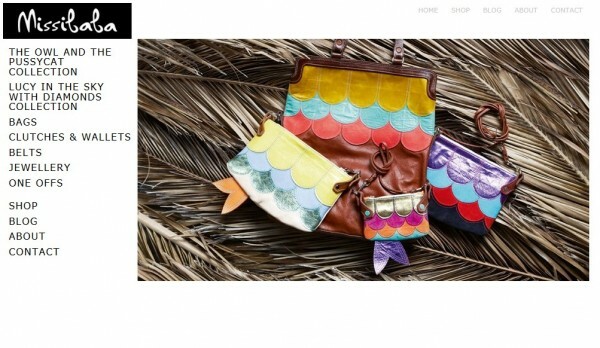 There is the possibility that an e-commerce component will be added to the site in the future. 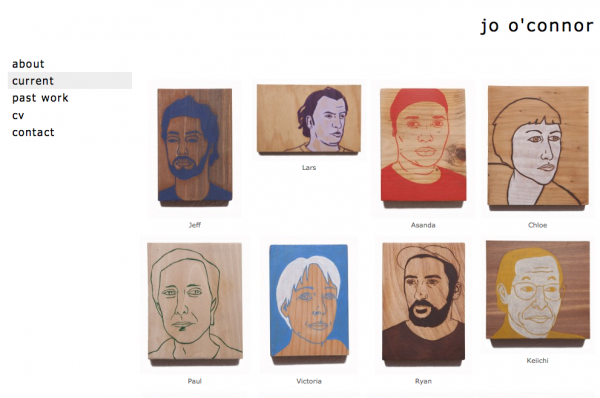 Design a clean uncluttered website that will allow the work to stand out. Provide a CMS for easy editing of pages and for the addition of news.